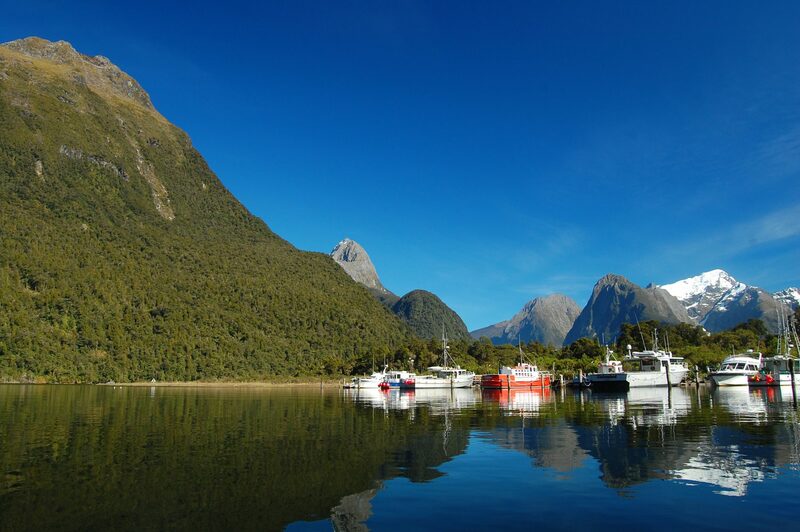 Experience the incredible drive to Milford Sound, along with Queenstown and the stunning West Coast of New Zealand on this inspiring 8+ day tour. The drive to Milford Sound is among New Zealand’s finest, leading through mountain valleys sure to take your breath away. You’ll then visit the charming lakeside town of Wanaka. You may wish to add an extra night or two here, especially to hike to beautiful Rob Roy glacier track. Stop by the Blue Pools on the way from Wanaka to the West Coast, and find yourself in a rainforest wonderland of towering mountains and spectacular waterfalls. The glaciers at Fox and Franz Josef offer great heli-hiking opportunities. You’ll also find some of the most scenic skydiving in New Zealand. The seriously adventurous may like to experience heli-rafting on one of New Zealand’s most beautiful rivers. The drive leads you north, then east over Arthur’s Pass. Here dramatic mountain scenery, soon gives way to the broad rural expanse of the Canterbury Plains, and subsequently Christchurch.